Senior officials from the Chinese Mainland and Taiwan are in Shanghai for the 10th Cross-Strait Economic, Trade and Culture Forum. Yu Zhengsheng, top political advisor and senior leader of the Communist Party of China, and Eric Chu, chairman of Taiwan's Kuomintang party, delivered speeches at the opening ceremony. Yu noted the two sides are experiencing stability, frequent public exchanges, and broad common interests that are unprecedented in 60 years. But he warned that those trying to separate Taiwan from the Mainland still pose a threat to the development of Cross-Strait relations. 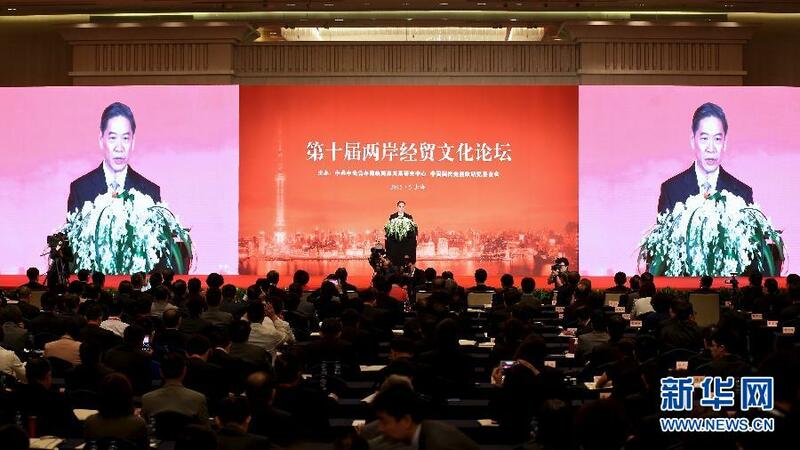 He said the forum should stick to the political basis for cooperation to improve ties. Chu stressed that the key to advancing Cross-Strait ties lies in cooperation and peace, not confrontation. The forum will focus on small and medium-sized companies, as well as innovators and young people interested in launching their own start-ups. Government agencies from both sides and other political parties from Taiwan are also attending. Chu arrived in Shanghai Saturday for a three-day visit to the Mainland. The CPPCC chair hosted a welcome dinner for him. Chu will later head to Beijing for a key meeting with the major CPC leaders on party exchanges and relations across the Taiwan Strait.